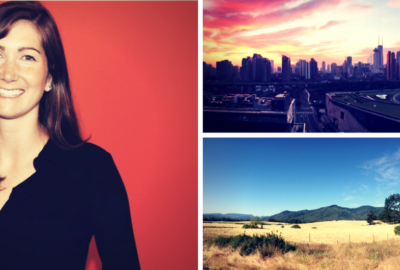 Employer Branding Around the World with Siobhan McHale | Coachify - Positioning you for the future! 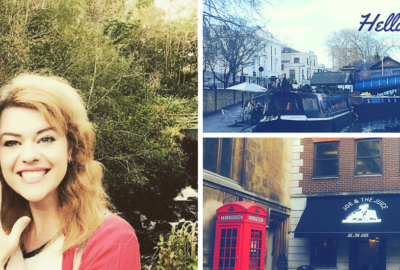 Home / Human Resources / Employer Branding Around the World with Siobhan McHale. Employer Branding Around the World with Siobhan McHale. Siobhan, can you tell us more about yourself and your job? I’m a culture change specialist with a vision to make workplaces better. I’m employed as the Head of Human Resources at DuluxGroup – a successful, growing international consumer goods company based in Melbourne, where my focus in on creating a more consumer-oriented and growth focused culture. 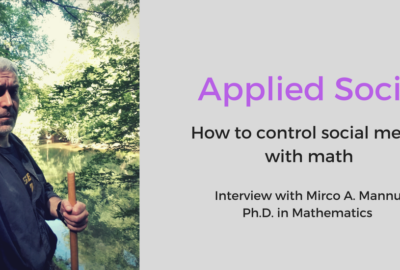 I trained as an organizational psychologist and hold a BA in Psychology and a Masters degree in Occupational Psychology from University of Sheffield, England. I began my career as a management consultant at PricewaterHouse Coopers in London where I crisscrossed Europe helping clients create successful culture transformations. In this role I advised leaders across four continents about how to create more vibrant and productive work environments. In 1994 I grew tired of the long, wet English winters and moved to Australia, where I continued my work as a change advisor with Accenture. After a decade as a consultant I wanted to put some “skin in the game” and decided to test all that I had learned in an actual corporate setting. I was employed as the executive in charge of change in a series of large, complex organizations. In these workplaces I was no longer operating as an outsider but actually getting my hands dirty working in the challenging and often messy trenches of transformation. These “insider” positions gave me a markedly different perspective on workplace change. You have an impressive a track record of creating more engaged businesses across four continents. What is the connection between engaged employees and a strong talent brand? I worked at Accenture which is one of the biggest consulting firms in the world. Within 3 months of joining I had moved countries from Australia to New Zealand and was working in the retail sector, which was completely new to me. I was on an accelerated learning curve but my experience in the consulting firm was completely aligned with the promise that I had been ‘sold’ when I interviewed for the job. I was told by the partners that I was entering a fast-paced, stretch culture where I was expected to be agile. I was not surprised when, three months after I had joined, I was asked to move countries. The important thing with your employer brand is that it is congruent with the ‘deal’ that you are espousing to employees. When there is misalignment between the promise and the deal, then that’s when you get noise. So, for instance, if you are telling people that they can expect a highly engaged workplace and you don’t deliver on this promise then employees will be disappointed when they enter your firm. The clearer you can be about the expectations and the closer you can deliver to these, the better. DuluxGroup has a quite unusual Brand Ambassador. Can you tell us more about him? Yes, our brand ambassador is an Old English Sheepdog called Digby. Our employees love Digby and he shows up to staff events where there is typically a queue to get a photo taken with him. The dog was first introduced in advertising campaigns in 1961. Since then the sheepdog has been a constant and highly popular feature of Dulux television and print adverts wherever the paint is sold. So much so, that many people in those markets refer to the breed as a ‘Dulux dog’ rather than a sheepdog. Over the years, different dogs have appeared in the adverts. However, they all look very similar and Fernville Lord Digby, was the most famous Dulux dog. What is the role of the leadership team in creating a powerful talent brand of Dulux? Can you give us some examples? Our approach as DuluxGroup is what we call “Leader-led” which means that line managers are in charge of bringing the employer brand to life and it is HR’s role to support them in this endeavour. Leaders are expected to walk the talk and lead by example. They are the ones who bring the employment promise to life every day for employees. Our engagement survey results show that we have a high level of employee satisfaction and a high performing culture which I believe is the holy grail when it comes to employer brand. We tend to attract people who want to do their very best in a friendly work environment. The leader’s job at DuluxGroup is to maintain and build this highly engaged culture. What are your company values and how do you communicate them? Our employer brand is built off the DuluxGroup company Values & Behaviours which employees are expected to bring to life every day at work. Whether it be ‘putting themselves in our customers’ shoes’, looking out for their workmates, unleashing their imagination to find a smarter solution or giving back to the community – our employees act with confidence that this is ‘the DuluxGroup way’. These Values were collectively developed and agreed by our employees – across all businesses and geographies – in 2011, soon after we became an independent company following a demerger from our parent company Orica. Workshops were held across the firm and people across the organisation were invited to have their say. The Values are inspired in equal measure by where we’ve come from and where we want to be as a company. Our strategy guides what we do, our Values guide how we do it. We know that ‘culture trumps strategy’ every time – therefore, we encourage, recognise and reward our people for living our Values in everything they do. How does DuluxGroup use content marketing and storytelling methods on LinkedIn or online to generate stronger candidate pipelines? Our strategy is to engage authentically about what it’s like to work at DuluxGroup. We encourage our people to share their stories about what their experiences have been and what opportunities they have been given. We believe that the best way of attracting the right people is to show them what really happens when you join the company. In my role as Head of HR, I also publish content and share my views on all things HR, culture and change. I write about topics that I’m passionate about and that I think can help to make workplaces better – which is my vision in my work. I’m also passionate about the HR profession and how we can progress (here is a link to a recent article about my views on the topic of The future of HR https://www.linkedin.com/pulse/hr-outer-your-business-so-here-3-ways-fix-siobhan-mchale). Your readers can follow or connect with me on LinkedIn if these are topics of interest for them. How do you empower your employees to tell your company story? Because our employees are highly engaged and proud of working at DuluxGroup, they share this story with family and wider network. We know from our employee engagement surveys that our people recommend DuluxGroup to their family and friends as a great place to work. 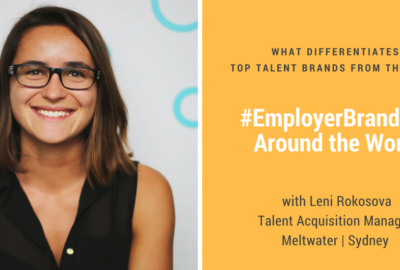 Employer Branding Around the World with Leni Rokosova. 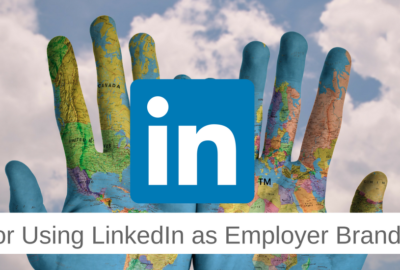 5 Tips for Using LinkedIn as Employer Branding Tool. How to Find a Career in China, Get Featured on Forbes and Use LinkedIn to Its Full Potential.